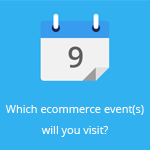 September 4, 2013 by Ecommerce News. About Offline store, Online store with tags The United Kingdom. 2391 views. British offline retailers are now even more concerned about the ever increasing competition from online retailers than a year ago. More than half of the British shop owners would like to see that online retailers start paying taxes to level the playing field. According to the Autumn Fair Retail Sentiment Survey 2013, more than a third of surveyed shop owners say they are afraid of the increasing competition from online retailers. . That’s up from 22% at the same time a year ago. And why they are afraid? Well, mainly because of showrooming, where consumers compare products on their mobile devices in-store to buy them online at a lower price. Of the 7000 surveyed independent retailers, 55% said showrooming has increased over the past twelve months. And that’s why more than half of the shop owners think the Treasury should proceed with the ecommerce sales tax. Because they own a physical store, owners of an offline store now pay more taxes than online retailers. But are these independent retailers doing enough to jump on the ecommerce bandwagon themselves? It seems not, as 65% earned less than £1 in every £10 out of online sales over the past year, up from 44% in August 2012.”It is clear that online retailers are seen as a threat to traditional, bricks and mortar stores. But if you can’t beat them, join them: independent retailers need to think about how they can spruce up their websites to ride the crest of the e-commerce wave”, says Nick Davidson, Director of Autumn Fair 2013.